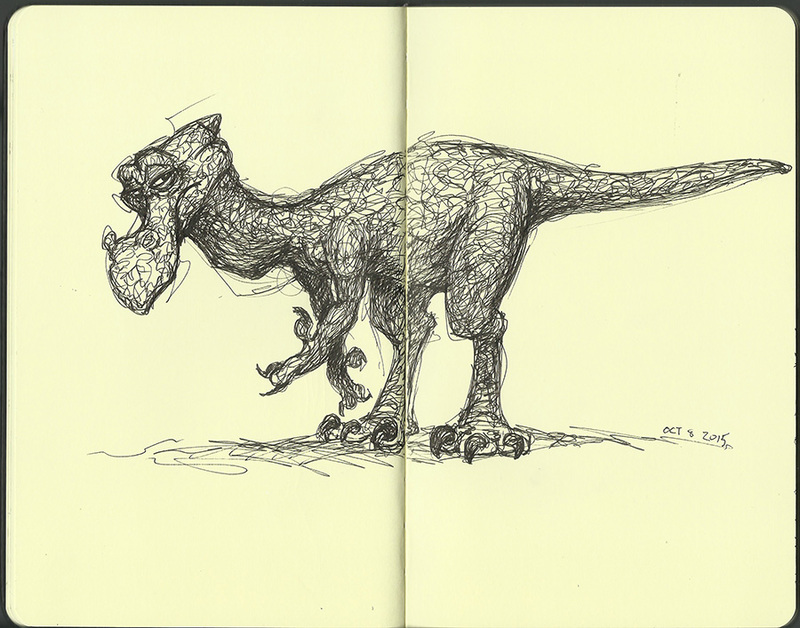 Inktober 8 – Scribbly Dinosaur. I was a little pressed for time again today. I went into my brother’s print shop to help him out for the afternoon, and didn’t get home until late.